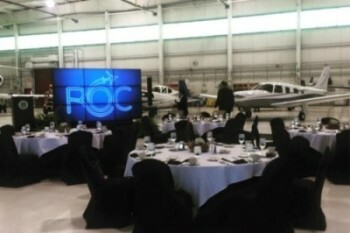 Any A/V company can put up a screen– what we do is different. At Empire Digital Signs, it’s less about the display itself and more about what you can do with it. From larger than life video walls to immersive interactive experiences, Empire Digital Signs’ Experiential Events department is your go-to for innovative rentals. Our creative team works around the clock on solutions that amaze and entertain your attendees from the moment they arrive until long after the event is over. 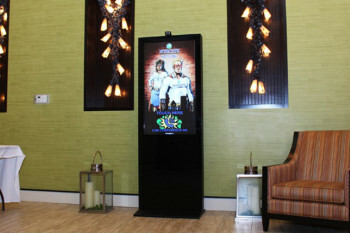 Video walls are sure to make an impression at any event. 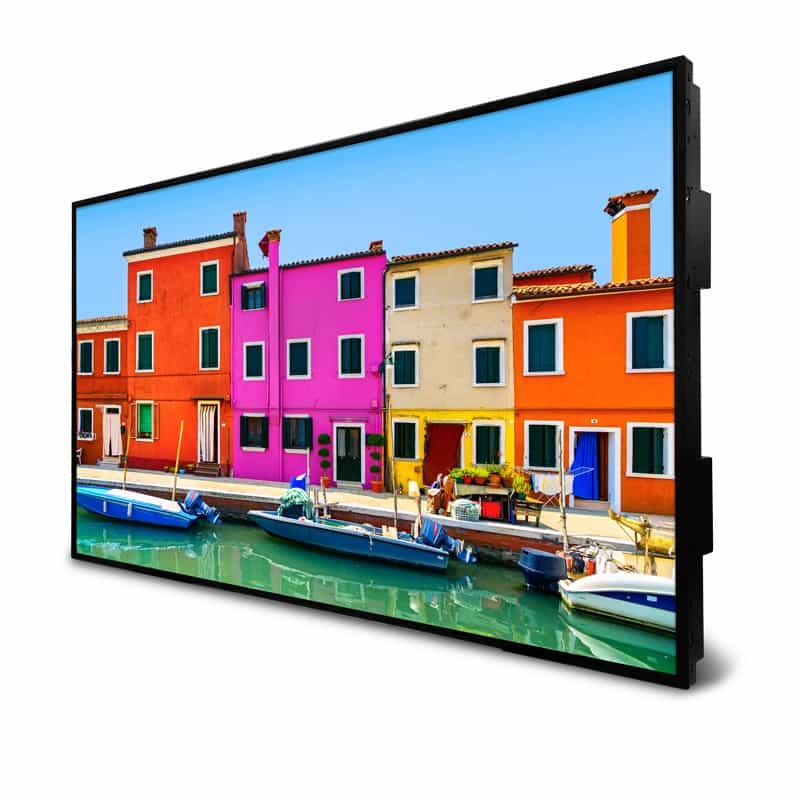 This larger than life 10×8 wall is USB and lap top compatible so the possibilities are endless. Perfect for livening up a sleepy dance floor, giving presentations or displaying photos and social media feeds! 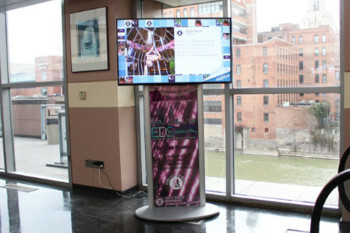 Flexibility and scheduling capabilities make a digital sign a must-have for any event. Personally welcome guests, upload photos, videos and applications. Even add interactivity for wayfinding and other unique uses. 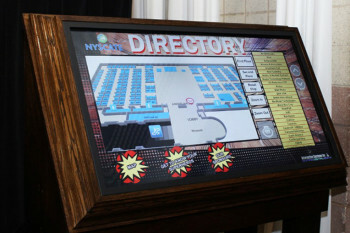 Interactive wayfinders and maps provide event guests with a simple and high-tech method of finding their destinations. The touch screen display can not only be used for turn by turn directions, but can serve as an advertising platform and information center. 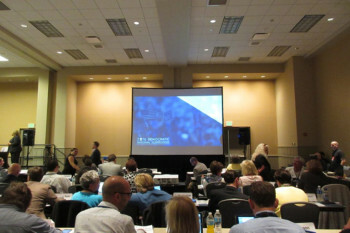 Integrate social media even deeper into your event. Live Twitter, Instagram and Facebook feeds will display mentions and hashtags unique to your event. This will encourage social media participation which every planner knows is priceless. Badging and lead retrieval applications are perfect for trade shows and networking events. Rather than fussing with business cards, guests receive a badge loaded with their contact information. 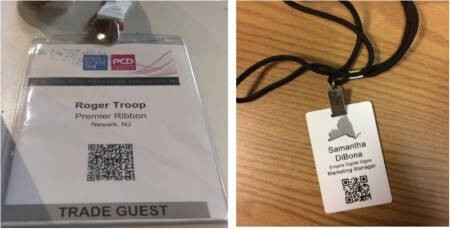 As they begin to make connections, they simply scan ID cards and download their leads at a later time. While you need their feedback, you don’t want to inconvenience your guests. 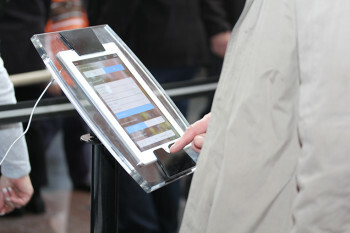 The digital survey allows people to answer a few short questions on a touch screen and then carry on. Digital surveys can be carried out via tablet or even an interactive video kiosk- See the “NYSCATE 2016” video below for more! Major events and tradeshows can be particularly stressful when it comes to getting into contact with show organizers. Our virtual attendant kiosks allow guests and vendors to reach knowledgeable staff in order to answer their questions, without needing to hunt a person down. 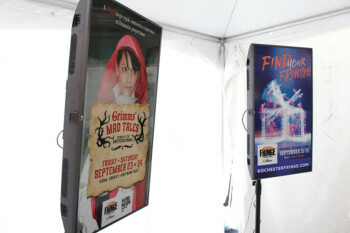 These kiosks make event execution easier on both staff and guests. Hosting an event in a location that gets a lot of direct sunlight? Ask us about our Dynascan rentals – these extra bright screens are perfect when it comes to combating ambient light and making sure your message still gets across. The video below demonstrates a collaborative effort on the part of NYSCATE and Empire Digital Signs in designing interactive solutions to assist guests at the 2016 show in Rochester, NY. For a more detailed description of the solutions- click here to be directed to the blog. Dates fill up fast! Experiential Events work on a first come, first serve basis. Call us at (585) 458-6087 to reserve your date today!